Queen recycles Hugo Boss outfit to welcome students from Francisco de Vitoria University. Following a 2-day visit to Morocco, King Felipe & Queen Letizia returned to work today in Madrid. They welcomed students from Francisco de Vitoria University to the Zarzuela Palace for the ninth edition of the 'Europe Scholarship' program. Queen Letizia opted for an ultra feminie style, repeating a Hugo Boss skirt and cardigan ensemble she as worn repeatedly since July 2013. Her outfit consisted of a salmon pink cami/cardigan twin-set and a watercolour print silk skirt. Both pieces are from the Hugo Boss Spring/Summer 2012 collection. 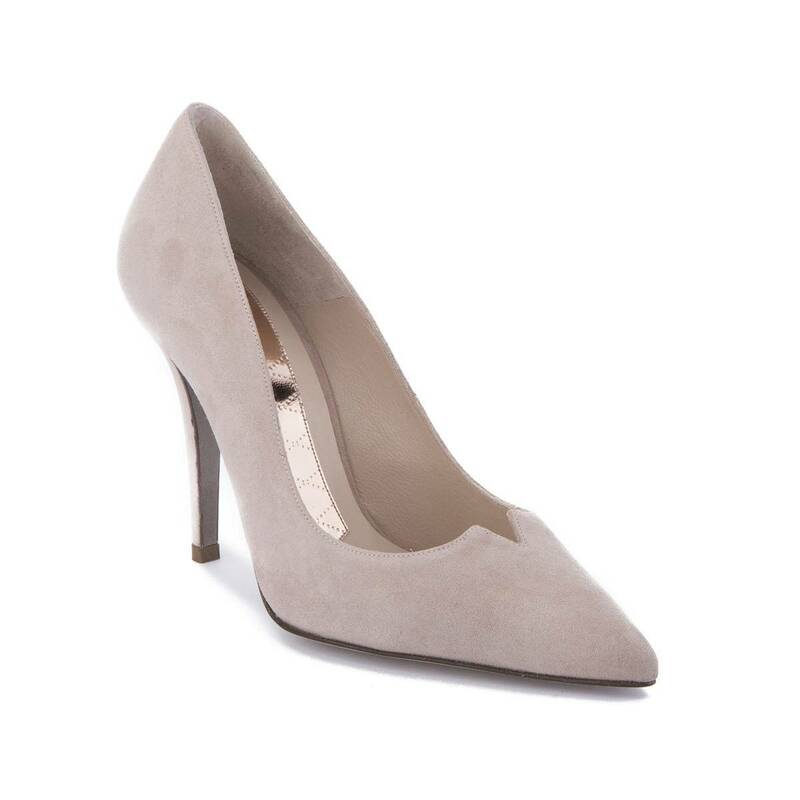 Today Doña Letizia paired the outfit with her Magrit Leonor beige suede pumps. She completed the look with light pink pearl drop earrings.